One-on-one training is the best way to target exactly what you need. Whether you are an elite athlete, someone seeking recovery from an injury or simply want to accelerate your fitness goals, Pilates North provides a cutting edge personal training experience that encourages you to attain your goals for improved performance, fitness and life. Choose an option below to see where you fit in. Private training is perfect for people who have specific goals in mind and would like personalized attention. Detailed instruction and targeted programming developed specifically for you will incorporate Pilates exercises and stretches on a variety of equipment. Workouts will be choreographed with your goals in mind and at a pace that works for you. Privates can be taken in conjunction with classes. Pilates North has a long history working with professional and amateur athletes and is commonly referred to by Orthopedic Surgeons, Physiotherapists and Athletic Trainers. Focus is placed on injury prevention and performance enhancement. Athletes will work one-on-one with an instructor or in small-specialized groups with programs that are designed to increase mobility and strengthen areas that are restricted or weak. After an injury rehabilitation is a necessary step in total recovery. Whether your injury is acute or chronic, trainers will assess physical restrictions through a series of assessment protocols and create a program combining exercises and stretches that will address limitations and improve functional movement. Often we work in conjunction with your Physiotherapists to prevent injury re-occurrence and return you to an active lifestyle. Individual training is booked by appointment. We always recommend setting a regular schedule as this promotes continuity in your training and ultimately in your improvement. Please check with reception before or after your session to ensure your account is up-to-date. Cash, cheque, VISA, MasterCard, and Interac debit cards are accepted. Prepaid sessions are transferable but not refundable. There is no expiration on private sessions the cash value will be honored towards future sessions should the prices increase while the account is dormant. Cancellation Fee To prevent being billed for sessions not attended, we require twenty-four (24) hours notice for any changes or cancellations of booked sessions from Tuesday-Sunday, Monday sessions require 48 hours notice. Pliates North, Lisa Schklar and her trainers have truly changed my life! When I first started going 10 years ago I had trigger points in my lower back from too much business travel. Pilates North quickly got rid of my trigger points and improved my posture immensely. It’s as if I grew a couple of inches and I’m now pain free! Pilates North provides the best total mind and body workouts!. Pilates North has proudly served York Region for the past 18 years. 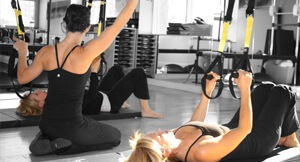 Our 4 Pilates studios are fully equipped with Reformers, Chairs, TRX, and Barre. Over 60 classes a week and private training. Pilates just north of Toronto.